Founder Nicola Holbrooke had been known for her exquisitely designed cakes made for Designers Guild's events and bespoke celebrations. She enjoys creating edible treats at home too, and when her daughter asked her to make an advent calendar with treats to decorate their gingerbread house with, it occurred to her that such a kit would be the perfect activity for families to do together over the Christmas period. And so, KalenderHaus was born. 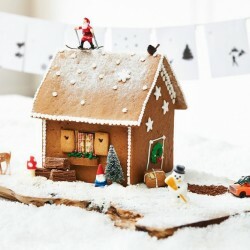 Since then, Clever Gretel has grown and now boasts a range of delicious and super stylish decorative biscuit kits. The moreish biscuits included are baked for Clever Gretel by artisan bakers using quality ingredients sourced from the UK. 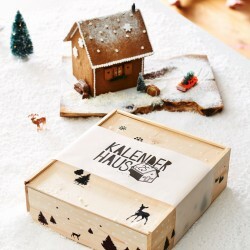 KalenderHaus was recommended by The Guardian & Junior Magazine 2017 Best Advent Calendars for Children.